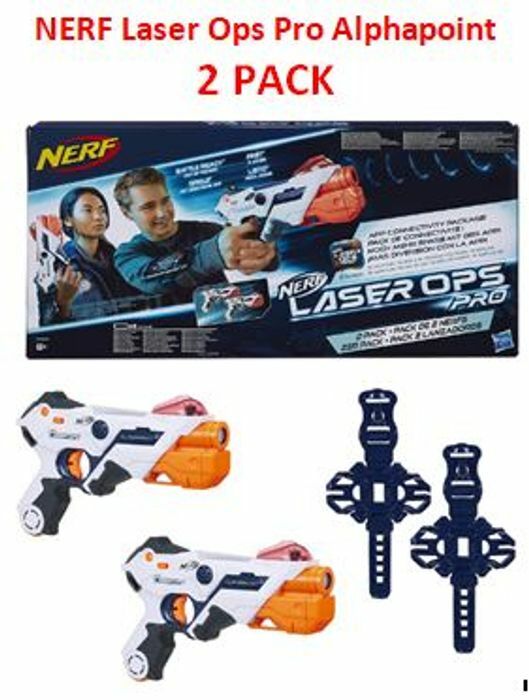 According to Hasbro, “They fire a single-shot IR burst with each trigger pull and register hits with lights and sounds, while lights on the back display health status and ammo capacity..The blasters have unlimited ammo and a quick-reload button to replenish supply." Amazon Price:	£34.99 & FREE Delivery in the UK. Please can you refresh this post. Thanks. £5 price drop to £29.99. Please can you date refresh. Thanks! Please date refresh this Top 25 Toys post. Thanks.